I’ve heard similar comments from dealers frustrated with their results from Facebook marketing. This isn’t because Facebook can’t be very profitable for your business. 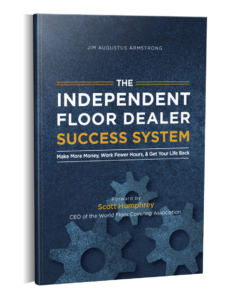 It’s because many dealers are making common mistakes that hurt their results. One of the biggest mistakes is doing the wrong kinds of posts. Most dealers simply post photos of products, or display racks, or special offers. They have no thought-out plan for systematically generating business from this online platform. Your posts must fit into an overall plan for generating customers. Each post should do one of three very specific tasks to make that happen. Let’s look at what those are. Followers are your “herd” of people who have ‘Liked’ your Facebook page. If you don’t have many followers, then your first task is to grow your herd. However, you must build the right herd. If you attract a bunch of followers who aren’t interested in your product, then you are wasting your time and money. They won’t engage with your posts, and they won’t buy from you. One effective way to attract new followers is with a contest. Facebookers love contests, quizzes, and other forms of entertainment on Facebook. Pick the right prize and format, and your contest can get high engagement. Make sure your prize is related to what you sell, like an area rug or floor cleaning kit. If you give away iPads or TV’s you’ll attract followers, but they may not be interested flooring. Running contests on a regular basis as part of your overall Facebook marketing system ensures you have an ever-growing, consistently engaged follower base. Engagement on Facebook equals likes, shares or comments. If your posts aren’t getting much engagement, then Facebook’s algorithms will penalize your posts. That makes them visible to fewer people, so this step is essential. Text-heavy posts tend to get the least engagement. Photos of products or display racks don’t get very good engagement either. Photos of happy customers standing on their new floors with the caption, “Congratulate Suzy Smith on her new floors by liking this post” can get very good engagement, especially if you tag your customer. That causes the post to show up in her timeline. Now her friends will see it and want to congratulate her, thus creating engagement and even attracting new followers to your page. In social media seminars, you’ll hear a lot about attracting followers and creating engagement. But, you often won’t hear much about getting Facebookers to come into your store and buy. That is unfortunate because unless Facebook generates customers, you’re wasting your time, energy and money. People don’t generally buy big-ticket items on Facebook. You must get them off Facebook and into your store, or into your database so you can market directly to them via email. Contests are an effective way to get people into your store. If you host a community gathering, parking lot BBQ, Christmas party, or another event at your store, announce these on Facebook. That’s another effective way to get them to your place of business. Posting offers for free information that customers want can be an effective way to get people into your database. When they opt in to get your free report, white paper, or guide, you can then market to them directly via email. That’s something you can’t do on Facebook.